Emerald Stone Couples value REAL, AUTHENTIC MOMENTS. My choice to become a full time wedding photographer happened several years ago. I've always been entrepreneurial, I love people, and I enjoy dabbling in lots of different challenges at once. 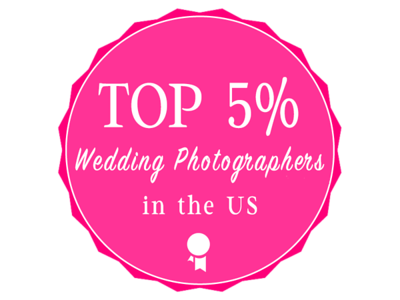 Owning a wedding photography business fits my personality perfectly. I stay engaged with people every time I work, and often times continue those relationships beyond the job itself. When I photograph weddings, the atmosphere is filled with passion, love, joy, and emotions. To be able to capture all of that is an immense privilege! Wedding photography is a beautiful challenge. It's about trust, love, psychology and absolutely flawless photography capabilities. Emotions need to be conveyed through powerful shots. Awareness, sensitivity, and perceptions are essential – but that's not enough. Wedding photography needs to combine all of that with a personal style, absolutely impeccable technique and mastery of photography skills. Every wedding I photograph I am responsible for my client's memories. Upon photography lays the concept of eternity. We are not just taking photos with the push a button. We are preserving memories, capturing eternal emotion, and seizing moments which will never return. Your wedding day is such an incredible investment. Whether you spend 2 months or 2 years planning your big day, you put so much thought & detail into every part of your wedding - down to the place settings and decor. We are there to capture every little piece of your day that you put your heart into. Rachel and Brandon's story reminds me of how important it is to have photos to look back on, to pass on, and to love and cherish for a lifetime. Brandon told me, I always think to one of my favorite quotes from Ferris Bueller’s Day Off. It goes…“Life moves pretty fast. If you don’t slow down and look around, you might miss it”. That is the perfect quote. This is why printing your photos is irreplaceable! Let your wedding memories live to help you remember where this life together began. FOLLOW OUR BLOG! Click Here for all Blog posts by Emerald Stone Photography!